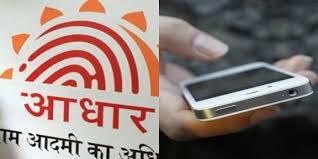 UIDAI asking all phone operators on Monday to formulate a plan within a fortnight by which customers who are willing to delink Aadhaar from their Mobile connection need to undergo for various other KYC process soon. implement the Supreme Court’s order on Aadhaar which includes a direction that the unique number cannot be used to authenticate the identity of consumers acquiring mobile connections. Unique ID will still be needed for accessing subsidised LPG cylinders, which is part of the direct benefits transfer upheld by the SC.